If you go to your Office 365 app launcher (typically accessed via the waffle in the top left corner of your Office 365 web portal) you’ll see or soon see a new icon. 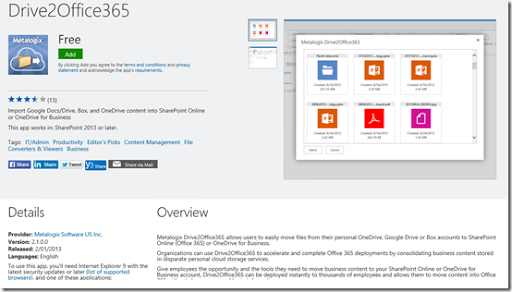 The Office 365 Store has arrived! Selecting the Office 365 Store icon will take you to the above page, where you can now start adding third party applications to your Office 365 environment. Selecting an app will take you to a dedicated page like that above, where you can now add it to your environment. As you can there are currently over 1,200 apps available to be added in! You can also expect this number to grow rapidly. 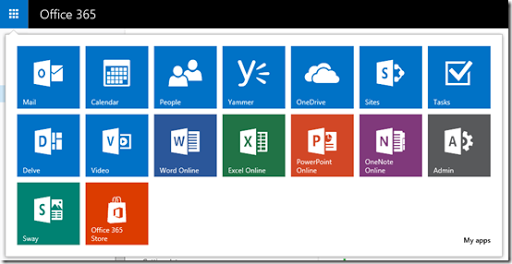 Office 365 provides a standard platform to develop and use apps. This is appealing for both users and developers. Other cloud platforms make lots of noise about all the third party add-ons they have. 1,200 is s good starting point that will only increase. You just watch and see. Because both of these products are changing so rapidly I am trying to keep them as current as possible. Once you purchase the products you will continue to be eligible for updates for the life of that product. So what is typically updated? For the Azure course I’ve added another video plus access to my Azure OneNote notebook that is full of tutorials, information, links and more. For the Office 365 bootcamp I’ve updated the training OneNote files, the notes for the 70-347 and 70-346 certification exams. The benefit of OneNote notebooks is that you can use them on any device. 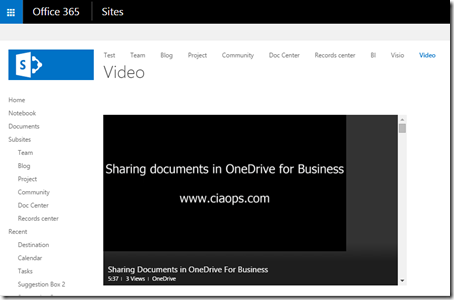 If you save them to OneDrive or SharePoint they can also automatically sync across all the devices. You can also use them offline and most importantly they are fully searchable. It is for this reason that I use these notebooks every day in my business to keep track of everything. By purchasing these, or any of my publications, you are helping me stay in business and allow me to focus on providing more information into these products. Of course all these products are free to subscribers of my Cloud Business Blueprint community. which also provides a heap more for your investment. I encourage you to also check that out if you are keen on taking your cloud business further. Save time, save effort and help me create the best information sources for products like Office 365 and Azure by supporting my publications. For those people that have already done so, I thank you for your support. Unfortunately, average users tend to click ‘Yes’ a lot more than they really should. If they could but restrain themselves somewhat the world would have far less viruses. BUT, we know they just can’t help themselves sometimes and administrators and IT Pros are left to clean up the damage. In the the world of security, prevention is far easier and cheaper than the cure so taking pro-active steps to control when users allow third party applications access to their data can be handy. 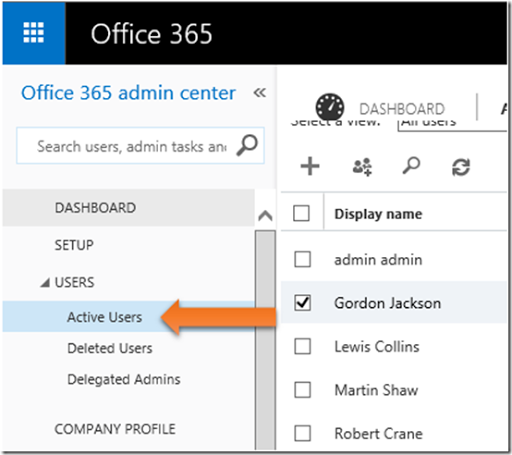 Office 365 provides the administrator the ability to do just this via Azure Active Directory that is included free with all Office 365 subscriptions. Here’s how. Firstly, login to your Office 365 admin center. 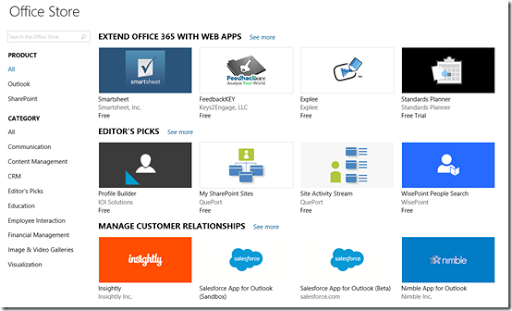 In the bottom left select Azure AD. 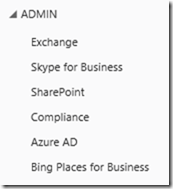 Select the Active Directory option on the left and then select the name of your directory (there should only be one). Select the configure tab from the options across the top. Scroll down until you locate the integrated applications area towards the bottom. here you can disable (by changing to No) all users ability to add integrated applications and have those applications access the users data. If you make a change you’ll need to select the Save button at the bottom of the page that appears to update the directory with the new configuration. 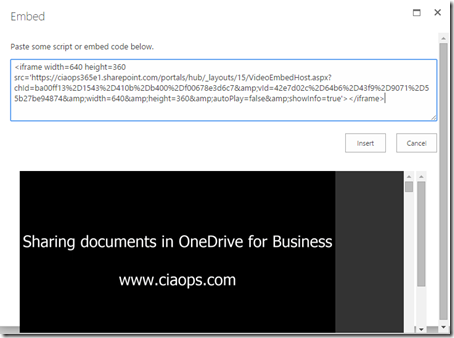 With these options configured administrators can have piece of mind that none of their users can add applications from places like the SharePoint Store that could access Office 365 data and potentially cause information leakage or worse. Which basically does files and folders but in such a way that only the differential changes are sent each time. The question for many IT Pros is how do I recover a complete Azure VM like I can on premises using my traditional disk imaging tools? 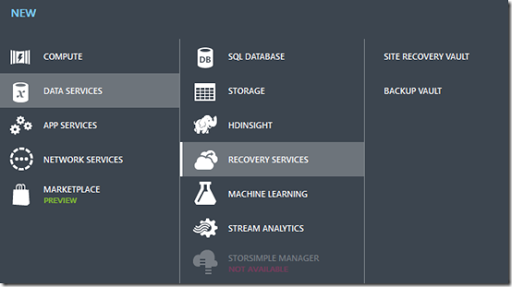 The good news is that Azure now has such a services called Azure VM Backup and here’s how to use it. Best practice is probably to go in and create a new Backup Vault in Azure to ensure you know what storage ‘bucket’ these backups are in. This is because you can back up a lot of different things using Azure services. It will take a few moments for the new Backup Vault to spin up once you have selected a region for it. Which region you select is important because you can, by default at the moment, only backup VMs from the same region. Once the new Backup Vault is ready select it, then select Registered Items from the menu across the top. Ensure that the type is set to Azure Virtual Machines and then select the Register link at the bottom of the page. Place a check in the VM(s) you wish to backup. Then select the check icon in the lower right to save the configuration. The machine you selected will then be ‘registered’ This means it will have the appropriate configurations made to allow it to be backed up. The VM will need to be running during this process or the registration will fail. If you now select the Jobs option from the menu you should see the registration process proceeding. The registration should take around 5 minutes but may vary on what type of VM you are backing up. If you now return to the Registered Items menu option you should see your machine listed as shown above. With that machine still selected, you will see a number of buttons at the bottom of the page. Select the Protect button to commence a backup of this VM. Select the items to protect and press the continue arrow in the bottom right of the window. You’ll then be prompted to create a protection policy. Best policy is to create a new policy, given it a meaningful name and then select the backup frequency. At this point in the time the most frequently you can backup a VM using this process is once a day. After you have selected an appropriate Retention Range, select the check to save the settings. If you wish to do an immediate backup at any time outside the configured schedule, select the Protected Items from the menu at the top of the page. Ensuring that the desired VM is selected, press the Backup Now button at the bottom of the page. If you return to the Jobs menu you should see a new job that is “InProgress” as shown above and the Operation is “Backup”. The VM being backed up of course needs to remain up and accessible during this process. Even though you can’t schedule backups more frequently than once a day via the browser I’m betting you can via PowerShell and perhaps even use the automated Run Book features of Azure to do this. The VM you are backing up continues to run as normal and I saw no performance impact occur in this test environment during the process. That may of course vary depending on loads and amount of data to be backed up of course. 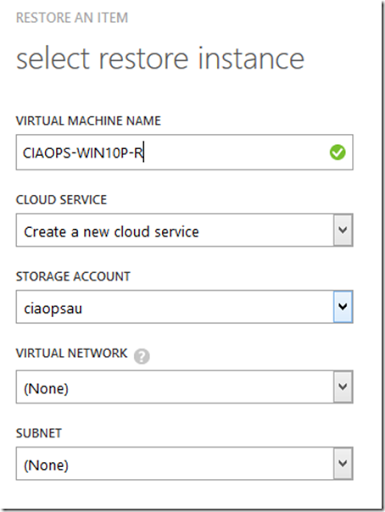 How does Azure virtual machine backup work? To back up a virtual machine, first a point-in-time snapshot of the data is needed. The Azure Backup service initiates the backup job at the scheduled time, and triggers the backup extension to take a snapshot. 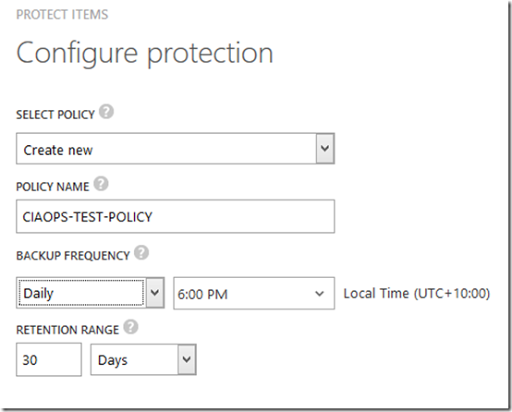 The backup extension coordinates with the in-guest VSS service to achieve consistency, and invokes the blob snapshot API of the Azure Storage service once consistency has been reached. This is done to get a consistent snapshot of the disks of the virtual machine, without having to shut it down. After the snapshot has been taken, the data is transferred by the Azure Backup service to the backup vault. The service takes care of identifying and transferring only the blocks that have changed from the last backup – making the backups storage efficient. When the data transfer is completed, the snapshot is removed and a recovery point is created. 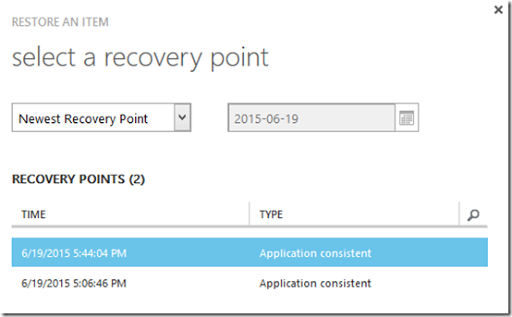 This recovery point can be seen in the Azure management portal. So as a I test I used Azure VM Backup to initially backup a Windows 10 machine with Office 2016 installed. That took 37 minutes. Immediately after that backup completed I run another and it took 23 minutes. The Windows 10 system reported about 25 GB of total used space. Now, what happens when you want to restore? Basically you’ll be restoring the whole machine to a new VM. The current preview of Azure VM Backup doesn’t permit restoring to the original VM, however I’m sure down the track that will become available. To restore your VM go to the Protected Items options from the menu and ensure the machine you wish to restore is selected. From the button at the bottom of the page select Restore. Select a recovery point from the list (this is basically all the backups you have performed). Press the continue arrow in the lower right to continue. You now need to give the restored VM a name (it can’t be the same as an existing machine so if the original still exists you’ll need to delete it first as source over writing is not yet available). You’ll also need to select a storage account, virtual network and subnet. Once you have done that select the check icon in the lower right to commence the restore process. If you go and check the Jobs option again you should see a restore job in progress as shown above. For me, after only 8 minutes the restore job completed (that is for a 25GB of data) and if you now look in your Azure Virtual Machines you will see the item your restored, just as it was when you backed it up. Most of the limitations I would expect to disappear in a very short space of time. 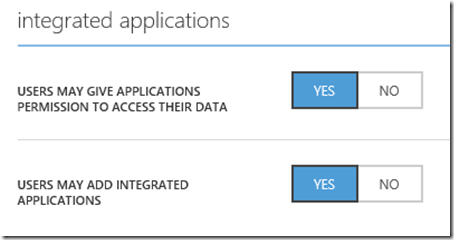 That is going to make Azure VM Backup a pretty powerful option for your Azure IaaS solutions. So now you can use Azure to backup up you Azure VMs as you would have typically done on premises using imaging software. Using Azure VM Backup is going to however provide improved ease of use and scalability as well as the ability to more rapidly improve than an existing on premises options. Azure VM Backup is yet another example of the power the cloud is bringing to traditional infrastructure by making it easier and better. I’ve been doing a lot of webinars lately and one of the features of many dedicated conferencing packages like GotoWebinar is the ability for attendees to dial in using a normal phone line. many don’t realise that this option is also available in Skype for Business. 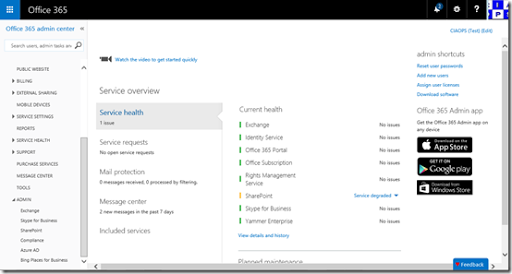 If you login to your Office 365 admin portal and then select the Skype for Business service you should see taken to the Skype for Business admin center. From the menu on the left you should see the option for dial-in conferencing, select this to see the above screen. If you then select dial-in users from across the top you will see a list of users who have been enabled for Skype for Business. Here you can see I already have one user who is configured for dial in conferencing. To modify a user just select them and then the pen (edit) link that appears to the right. You should then see a screen like that shown above where you can edit the dial in details for that user. When you pull down the options for Provider name you will see the above list who are supported with Office 365. Now here’s where I started to get lost. What do I need to do? How to sign up for the right service? Can I get this to even work here in Australia? Luckily, I knew just the man to call – Greg Plum from PlumUC.com whom I met last year at Office 365 Nation. Although Greg is based in the US he was able to set me up with Intercall who have local (Australian) dial in numbers. If you want all your users to have dial in facilities for their Skype for Business you’ll need to get separate details for each user. Overall the cost is pretty cheap to provide this facility and Greg got me hooked up quick and easy. 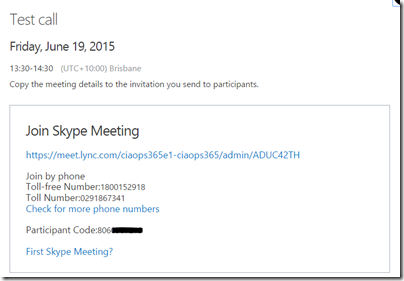 So once you have the dial in details entered for that user when they create a new Skype for Business meeting those call details will appear in the invite as shown above. This then allows people to attend either using their desktop or their phone. Once again, I will call out Greg Plum from plumuc.com no matter where in world you are located to get the dial in bridge set up for you. As I said, even here in Australia Greg could get the feature up and running and I doubt few other Office 365 resellers here in little ol’ Australia have that ability. That gives me a huge point of differentiation when it comes to my local market and gives me a real competitive advantage when speaking to customers. 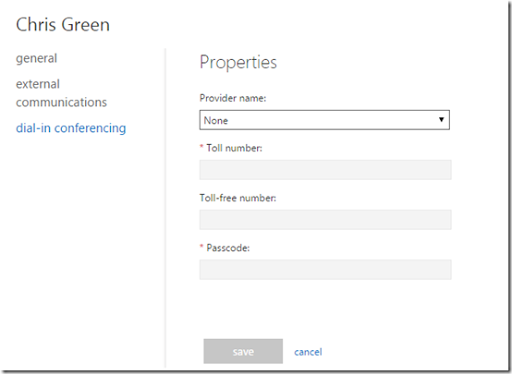 So if you want to set up dial in conferencing with Skype for Business in Office 365 it is pretty straight forward and I strongly recommend you contact Greg Plum from plumuc.com to help. Tell him I sent you! 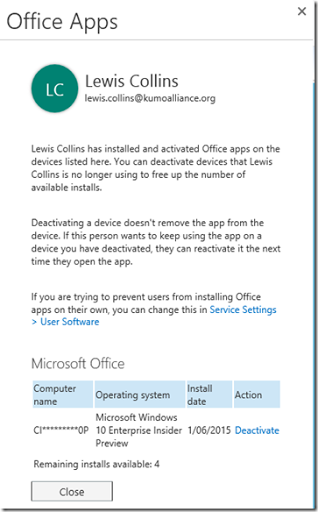 you’ll see a new option on the right called Office installations. If you then select the Edit hyperlink. You’ll get a window like the above slide out from the right. In there you see information about the installations of Office desktop software for that user. You will also have the ability to de-activate those installs, just like a user can do on their own via their portal. 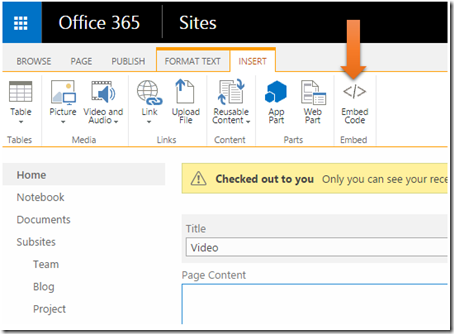 A nice addition for administers of Office 365. Here’s a short video from Microsoft on the feature.